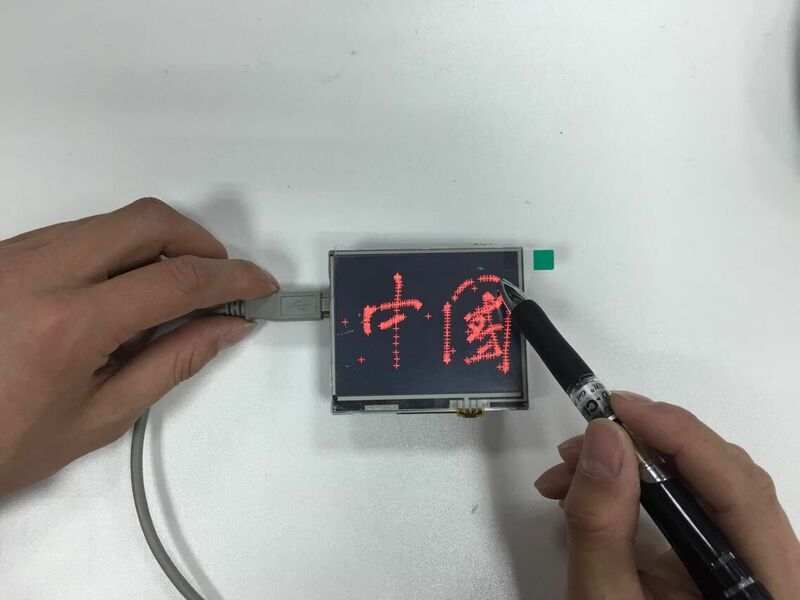 The liquid crystal display module based on SPI communication interface, provide 3.5 "TFT LCD, resistive touch screen, built-in Flash flash and SD card external expansion storage. 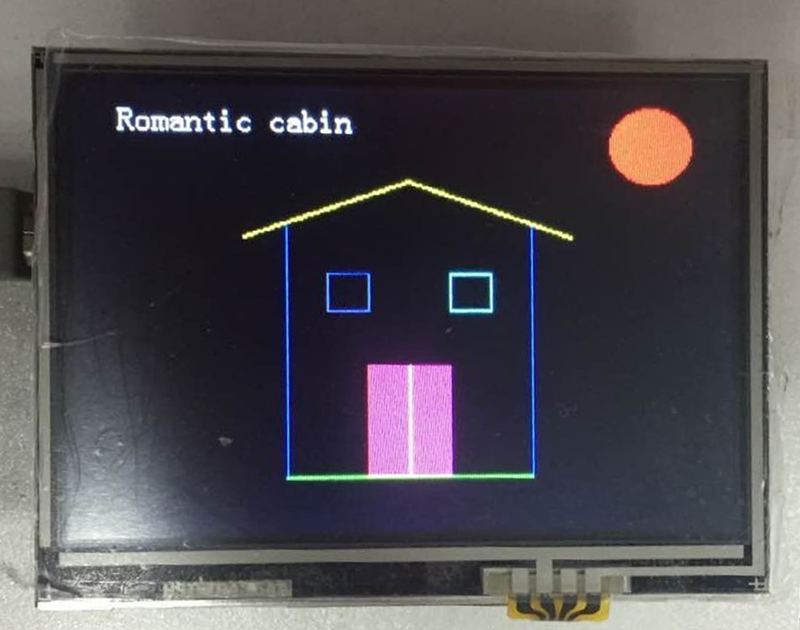 This TFT panel connects directly on top of an Arduino pin compatible device. 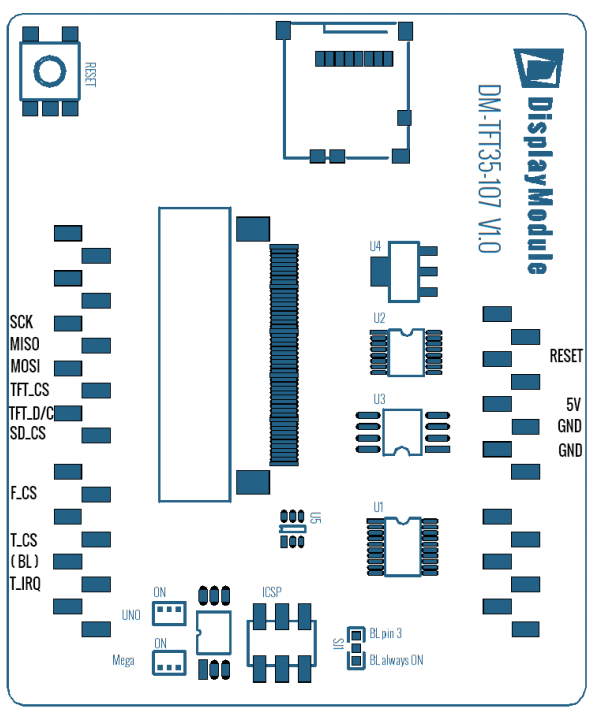 1.Pin layout：This display uses a SPI interface for TFT, Touch, SD-card and external flash memory. 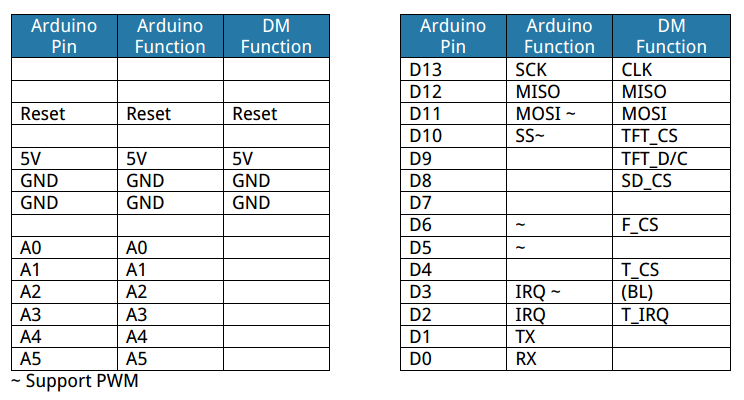 2.Pin function：This TFT panel connects directly on top of an Arduino pin compatible device. 1.First download the DmTftLibrary from here: dmtftlibrary. 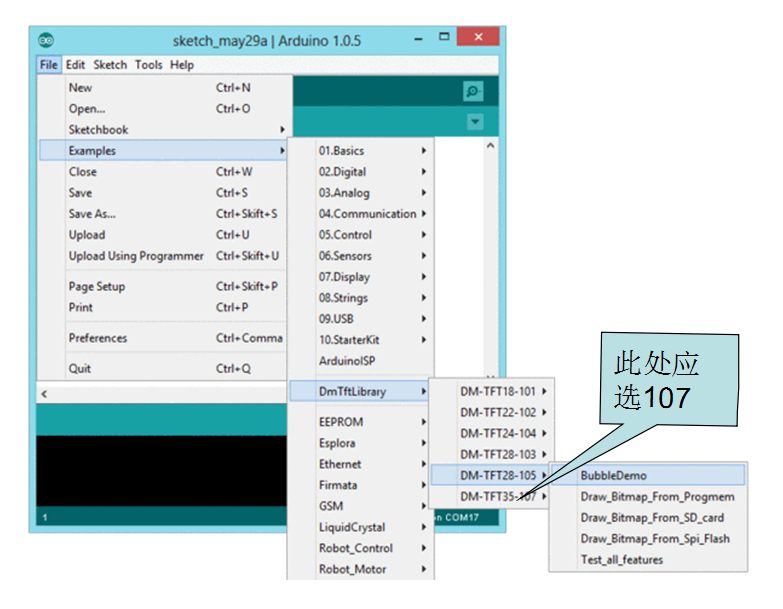 Anyway, there is converted picture in the library folder (DmTftLibrary\examples\DM-TFT35-107). You could have a try with it first. 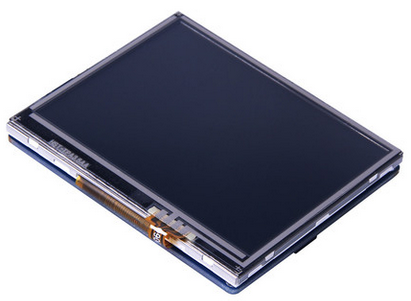 Get 3.5" TFT Touch Screen from DFRobot Store or DFRobot Distributor.